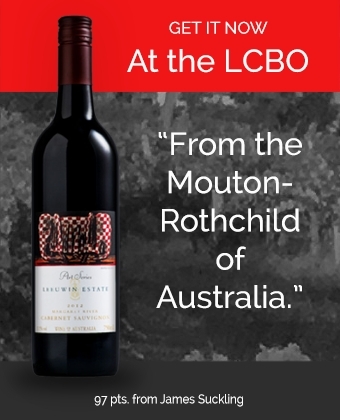 From the Moss Wood winery in Margaret River in Western Australia – a region which produces approximately 20% of the country's premium wines – we offer this stunning Chardonnay through the LCBO. Lisa Perrotti – MW Robert Parker Wine Advocate – gives this wine 93 pts. It's a very complex, very intense, yet elegant chardonnay has the best of all possible worlds – drinks well now and will also age beautifully. The nose has the full complement of Moss Wood Chardonnay fruit aromas – limes, peaches, marmalade, roast almond and malt biscuit. The extended barrel age and malolactic fermentation has added in some toasty, spicy oak and interesting bread and caramel notes. The same theme continues on the palate, with full body and high acidity combining with peach, nut and cheese flavours, providing generosity and length. The finish has some toasty oak, with some tannin evident. This Chardonnay from Moss Wood in Australia has a pronounced and seductive, honeyed peach and marzipan nose with a cinnamon toast and ginger undercurrent. Apple tart, as well as yeasty and toasty notes grace the silky palate, with has a long savoury finish. Seafood, especially scallops and lobster are the perfect match for this Chardonnay The combination of lush fruit and texture with great acidity are the perfect compliment to these fattier dishes. The great complexity and structure that allows this wine to age also provides it with stamina for roasted chicken and pork. Chicken Normandy would be delicious!